What moves you to provide reliable transportation for your wedding party & guests? Often an after-thought, transportation is one of the single most important details of your wedding day, and its surrounding festivities. We recently sat with Heather Campbell MacKay, Events Coordinator with Grace Limousine, to gather some insight on the importance of choosing reliable transportation. Premier Bride: Are there any common misconceptions surrounding wedding transportation? Heather: Yes, absolutely! Often couples will assume that they do not need transportation if their ceremony and reception are being held at the same location. There are many other aspects of transportation that need to be considered. For instance, will they need guest shutting from a local hotel? Will they need bachelor/bachelorette party transportation? Honeymoon transportation to and from the airport? They may also want to consider providing safe transportation for the rehearsal dinner. Wedding festivities and drinking often go hand in hand, and couples should consider the importance of safety. Peace of mind is priceless, yet affordable! Premier Bride: You seem to be stressing the importance of guest shuttling. Can you give us an idea of how that might work? Heather: Of course. To start, I like to get an idea of the potential number of guests that might use the transportation. Next, I want to find out where most of the guests are staying and where the wedding venue is located. 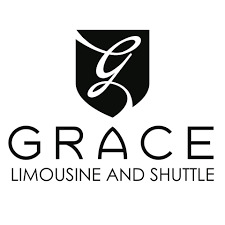 Depending on the number of passengers, Grace Limousine can offer vans, luxury limo coaches, or motor coaches to accommodate groups of any size. Van service starts at around $300, and coach service varies depending on times and locations. Once I have the basic details, I do some homework and get back to them with a shuttling plan that will fit their budget. If the couple is offering an open bar for guests, they really need to have shuttling so that their guests can be transported safely following the reception. Premier Bride: Why should the couple call you to book the large shuttling vehicles, versus calling the motor coach companies directly? Heather: That is such a great question. At my company, Grace Limousine, we have been setting the standard for wedding transportation for the last 23 years. When we partner with another company, for instance a motor coach company, we are putting our name on the service. Over the years, we have used several companies in the area, and we are very aware of the ones that provide service to meet our standards. These companies offer us a discounted rate, which we are pleased to be able to pass on to the client. How About A Outdoor Wedding? Planning your dream wedding requires lots of hard work and attention to detail. Where you choose to say “I do” sets the stage for the remainder of the celebration. Although many indoor and church weddings are lovely, more and more couples are opting for outdoor ceremonies and receptions. There are many reasons to consider an outdoor wedding besides the obvious ones: the sun, the trees, and warm breezes! With an outdoor wedding you have the ability to create a day that is uniquely you. Often couples are seeking to make their day different and avoid the feeling of a “cookie cutter” wedding. Outdoor options abound in New Hampshire. Do you love being on the water? Consider the beach, or one of the states’ many lakes, or even a floating wedding aboard a boat. Do you love the outdoors, hiking and our beautiful mountains? Your dream location could be an orchard, a ski resort or a Christmas tree farm. Having an outdoor venue allows you to create exactly the celebration you want. Whether you choose a New England clambake or a formal seated dinner with decorations to match, you don’t have to conform to the painted walls or specific décor of a reception hall. One of the bonuses of an outdoor wedding is that the natural beauty of your surroundings lessens your need for elaborate decorations. Consider timing your wedding to include a beautiful sunset or to take advantage of fall color. Outdoor weddings are a photographer’s dream, creating opportunities for one-of-a-kind wedding portraits. Having an outdoor wedding does require special considerations. Every bride wants a perfect sunny day for their wedding, but you need to be prepared for the vagaries of Mother Nature. Will the wedding move inside, or is there a tent? Does the tent have sides? Are heaters available if the day is chilly? Do you need to rent all of the equipment: tables, chairs, linen, glassware, etc.? This requires additional planning and work for the bride unless the venue offers the services of an event coordinator. Some towns have rules about consumption of alcohol in public places, so check to be sure you’re allowed to serve alcohol. If you’re getting married in a public park or on the beach you may need a permit. Make sure you arrange this well in advance as it would be a shame if the police decided to crash your party. Do guests have a place to park? If parking is tight you may want to hire valets for the event. Another option is to instruct guests to park in a local parking lot and shuttle them to your location. Many limo companies rent trolleys, which could be a fun way to transport guests. Finally, consider including a note in the invitation or on your website to let your guests know what to expect (i.e. wear flat shoes, bring sunscreen). An outdoor wedding is a unique event tailored to your personal style. Have fun no matter what the weather may be and remember – an overcast day on a mountaintop is still more spectacular than a sunny day in a reception hall! Do Plan your wedding using search engines and e-mail to create your special celebration. There are several Internet sites dedicated to wedding planning that allow you to take advantage of the wealth of information at your fingertips. Coordinate with vendors, make and confirm reservations, select flowers and review menus online. Do contact the church or synagogue where you will perform your ceremony and ask about any rules or guidelines regarding music. Some churches require that you use their organist. Do remember your guests with small children. Instead of putting “no children” or “adults-only reception” on invitations, ask your reception site manager if there is a small room or play area near the festivities that you can rent. Then hire a professional babysitting service to take care of the kids. Parents will appreciate your consideration and be able to relax and enjoy your reception knowing they are close to their children. Do remember when purchasing a wedding gown to be realistic about your expectations for losing weight. A gown can always be taken in, but rarely can it be let out without leaving stitch marks for all to see. Don’t forget to involve stepparents in your ceremony in some way, perhaps a reading during your ceremony or an invocation before dinner. Looking for a gift for your wedding party? Do consider a monogrammed piece of estate silver, such as a flask for the groomsmen or make-up compacts for the maids. Do consider decorating chairs in a new way such as black, silver, white or traditional gold. Transform an ordinary room or site into a ballroom. Chair covers completely change the look of your reception. When discussing photo packages, don’t forget black and white and sepia tones. This classic style of photography continues to gain in popularity. Do remember that the hour of the ceremony is an indicator of the formality of the reception. Do consider having your entire wedding at a full-service hotel. The convenience of having the ceremony, reception and guest lodging in one place is incomparable, especially for a complicated event. To get your skin in shape for your wedding day, don’t forget to start six months prior to your wedding and practice make-up techniques. When renting a stretch limo, do remember that it can usually seat up to 10 people, but fewer when the bride’s gown and train and the bridesmaid’s dresses are factored in to the equation. Do remember to return rental items on time and undamaged. Don’t forget that the best way to let people know where you are registered is to have family and friends spread the word. Although it’s impolite to mention the registry on wedding invitations, a hostess may do so on shower invitations. Do select the ceremony and reception locations nine to 12 months before your wedding. If you’re getting married in popular months like May or June, select these locations as soon as possible. Don’t waste time getting to your reception. Have photos of the wedding party taken before the ceremony. Do reserve your photographer nine to 12 months before your wedding. Decide which shots you definitely want and which ones you can live without. Don’t forget to send an invitation to your officiant and to all of your wedding party. Do pick up your invitation envelopes as soon as possible so that you can begin addressing them. Do consider having two bouquets, one to keep and one to throw. Do check with your church or temple about their policies, especially regarding alcohol. If children will be attending your reception, do arrange a children’s menu with the caterer. Don’t be intimidated by terms such as “off-premises caterer” or “outside caterer.” These terms simply refer to catering companies that operate out of an independent kitchen and travel to different venues to provide their services. Do consider a seating scroll, a beautiful alternative to the more common seating cards. The large scroll sits on an easel and has the names of each couple written in calligraphy, along with the table number where they are seated. Don’t dismiss the idea of preserving your bridal gown. You may want to give it to your daughter 25 years from now, and you’ll want it to be in good condition when you do. Don’t forget about the vegetarians on your guest list. Fortunately, it is easy to accommodate virtually all dining preferences and restrictions with a little planning. Do burn candle wicks slightly before the ceremony to ensure they will be easy to light during the event. Do arm your guest-book attendants with Scotch tape and instructions to make sure every card is securely taped to the appropriate gift. After all the handling and transporting your gifts will get, you can rest assured the cards will remain attached. Do take advantage of a wedding consultant’s experience in wedding decision making. His or her ability to keep you sane during the planning process is well worth the expense. Do be prompt with your thank-you notes. You may have heard that brides are allotted up to a year to express gratitude for their gifts. It is better to show your appreciation immediately, signing, sealing and sending them within three months. Do find out the deadline for the menu selection. Don’t ignore the details. After your first dance, have the band play the song your parents chose for their first dance as husband and wife. Do find a special pearl-edged or silver container to place your ceremony program in. This same bowl may be used to hold gift cards at the reception. Do consider a handmade guest book and photo album made with fine paper and bound in specialty ribbons. Don’t restrict your taste buds to the common white wedding cake. Chocolate-frosted wedding cakes are perfect for the bride who is a little more daring. Do consider the white bar when planning your beverage menu. Gin, vodka, champagne, water and wine, which is just enough to keep each guest smiling. If the healthy glow of a tan is a must, do consider a safe and reliable self-tanning lotion, available at beauty counters across the country. Do store your wedding photos carefully, as well as any video or audio samples from the ceremony and reception.